These are the first monolithic JFET input Operational Amplifiers LF256 to incorporate well matched, high voltage JFETs on the same chip with standard Bipolar Transistors (BI-FET? Technology). 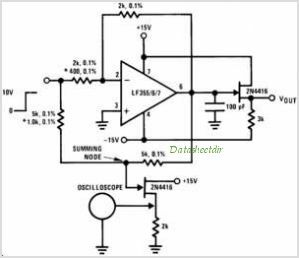 These Amplifiers feature low input bias and offset currents/low offset voltage and offset voltage drift, coupled with offset adjust which does not degrade drift or common-mode rejection. The devices are also designed for high slew rate, wide bandwidth, extremely fast settling time, low voltage and current noise and a low 1/f noise corner. This is one package pinout of LF256,If you need more pinouts please download LF256's pdf datasheet. 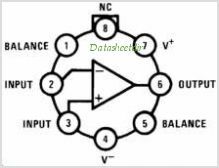 This is one application circuit of LF256,If you need more circuits,please download LF256's pdf datasheet.